You've just awakened to one of the most beautiful mornings you've ever seen. The sun is bright and you're in a great mood. However, what you're not aware of is that just outside of your bedroom door, your one-year-old puppy is currently rolling around in his own poo. And it isn't a small scene, it's a mess and its gotten everywhere. You should prepare yourself to be at least 30 to 45 minutes late this morning because it's going to take you that long to clean everything up. Will cleaning be the end of it? Of course not. After taking your dog outside so that he can pee, you'll bring him back indoors where he will then proceed to tinkle on your brand new rug. At some point in the morning, you'll start to wonder why toilet training a puppy is so difficult. You'll ask yourself if it takes everyone's dog this long to learn. What you'll need to remember is that is that toilet training your puppy is nothing groundbreaking, you just need to be aware of a few easy tricks. You see, you're probably like a lot of other pet owners, who simply have not be given the tools needed in order to make the process smoother. This isn't to say there is a magic wand, but you'll find that with a few helpful tips, your puppy will be well on his or her way to being fully trained. Let's take a moment to go over these logical and easy tips as well as discuss one of the best and most efficient resources for puppy owners. When it comes accidents in the home, you need to remember that your dog is not the enemy. He or she gains nothing by peeing on your floor; they simply felt the urge to go and then went. They will only learn to go outdoors when they are trained to and this responsibility falls completely on your shoulders. Though it’s often been recommended to rub the dog's nose in the place that he or she relieved themselves, this is pointless. Why? Well, because instead of teaching the dog where he or she should go, you're telling them that they should simply find another spot. This old and outdated method could only prolong the process, especially if you are angry and impatient at the time. Toilet training is about making your goal clear to your dog. You want them to use the bathroom outside. So successful toilet training means that you have made it completely clear to your puppy that you expect them to go outside and nowhere else. When you first start toilet training, it can be very easy to lose sight of the goal. Sure, you're taught to reward your puppy with a treat after they pee, but within as little as a week's time, several things can happen. You could become bored. You could simply run out of treats. There are also cases in which you don't reward your puppy quickly enough. You see, your puppy needs to associate peeing in a certain spot with a tasty treat. And the easiest way to ensure that this connection is made is when they are given the treat immediately. Some owners make the mistake of waiting a few minutes to reward the dog. However, remember that every second counts when you're trying to get your dog to associate this good behavior with a reward, so you should always be ready. Another habit that can get in the way is mistakenly leaving the treats inside. Luckily, there is a quick and easy fix to this problem–one that I learned from a 40-minute training audio file. Simply place the pack of treats next to the area where you want to dog to pee. This ensures that they are always ready. The key is to respond to good behavior quickly and consistently. Any parent will tell you that toilet training a child can be a long and drawn out process. Not only does it take the parents a considerable amount of patients but it can take a great deal of your time–in many cases years and years. It's humorous to think that most babies are unable to lift their own heads at 16 weeks, but puppy owners become frustrated when their puppies of the same age have a hard time learning to pee outside. It's a high expectation, but luckily it can be done. You just need to be willing to focus on the successes instead of the failures. Don't dwell on the mistakes, learn from them. Your puppy will master this skill in due time. Another helpful tip from the training audio file that I discussed earlier, and will tell you more about shortly, involves rugs. In the eyes of your puppy, there is nothing more inviting than a shag, pile rug. This is especially the case if it's brand new and snow white. Your pup will see this as the perfect place to pee and poop because it feels nice–much like grass. Even if you clean it, he or she will still be able to smell the pee and it will soon become the most expensive puppy pad known to man. So how do you solve this? Simply take the rug up and put it back down in 6 months time. Why take the chance? The truth is, puppy training takes a lot of attention and dedication. And unfortunately, you will never be able to think of everything. There is always something that you are bound to miss. Luckily there are some pretty useful resources out there, one of them being Doggy Dan's website, the Online Dog Trainer. And the cool part about it is that you can get an all-access trial pass to the website for $1. Not only will you find over 200+ videos, but you'll also get access to the 40-minute audio file that I've discussed. It will answer toilet training questions about what you should leave with them when you're at work and at night time, how to ensure that your puppy always succeeds and the importance of getting your puppy back on track after regression. 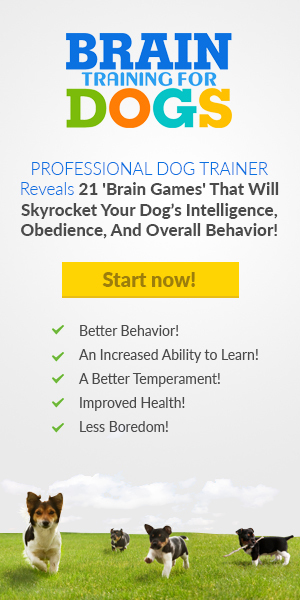 It discusses how to handle older dogs' regression and why this takes place, how to break bad toilet habits and how to crate train. You'll also be taught the basics about feeding, watering and toilet schedules. There's a lot to think about when it comes to toilet training . And I wish you nothing but the best for your puppy. If you're struggling in this area and know that you need to get a handle on things as soon as possible, you should consider stopping by Doggy Dan's website. For just $1 you can get access to a 3 day pass which will allow you to look over the toilet training section. Come join us for a $1 trial for 3 days. How Soon Should You Start Training Your Puppy? Saving five orphaned puppies – watch until the end for an amazing transformation!